STAY TUNED – 2019 DATES BEING RELEASED SOON! Our Aussie farmers are doing it tough – and we want to do what we can to help. We have recently returned from spending some time in the outback where we traveled to Birdsville for the Big Red Bash and were devastated when we saw the effects the current drought is having on our farmers, their crops and cattle. The prolonged and severe drought has taken an enormous financial, environmental and emotional toll on thousands of beef and sheep ­stations, farms and other agricultural businesses right throughout Queensland, with two-thirds of the state, or 120 million hectares experiencing severe rainfall deficit for almost 8 years now. Farmers are so desperate that sadly many have resorted to taking their own lives. In Australia a farmer is twice as likely to commit suicide. We have decided that we can’t just sit by and watch this happen and have committed to doing all that we can to help. We are putting together an epic outback themed weekend at the stunning Bigriggen, Scenic Rim, and we need as many people as possible to jump on board! Camp for the weekend, or just come for the day. We will have all sorts of fun activities and events going on. It is a dog-friendly park, but we won’t be having dogs at this event. 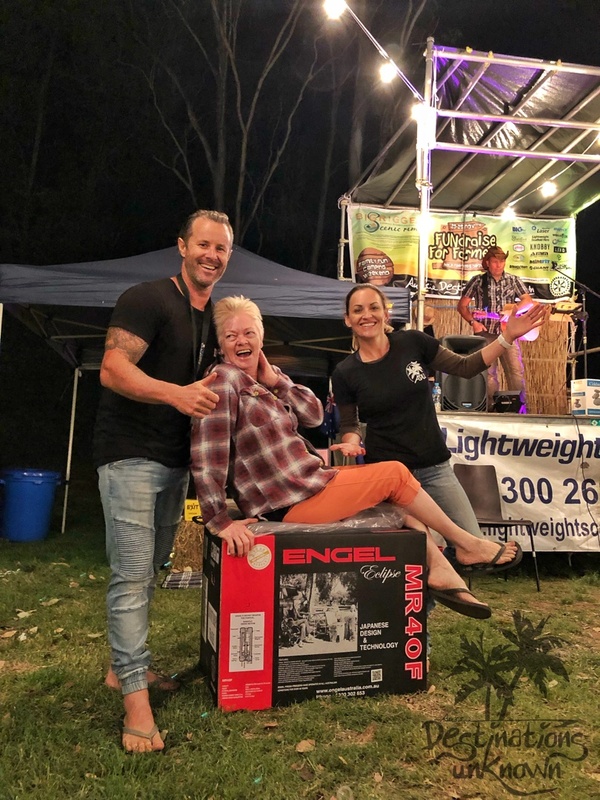 All funds raised will be going through the Rotary Club of Sydney directly to the Barrumbuttock Hayrunners to enable them to deliver donated hay to where it’s needed most. Nov 23-25, 2018. Save the date … and tell all your mates to save it too! Click on the FB EVENT link for further info. These businesses have offered their time, money, goods or services to help us out. 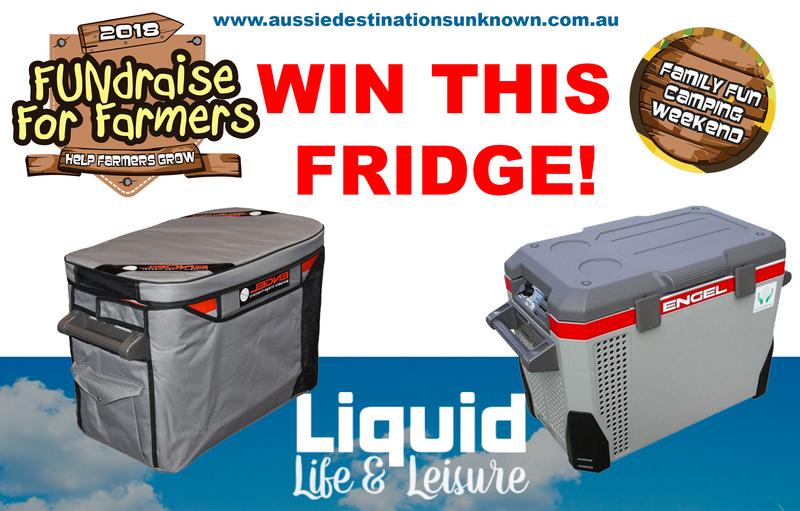 Thanks to Liquid Life & Leisure, we gave this fridge away to one lucky person who purchased their online tickets for our 2018 FFF.